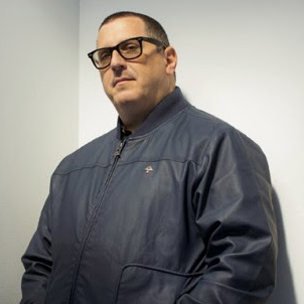 Fans of 3rd Bass have been asking MC Serch when he’s going to write a book and release a solo album for years but he was having trouble fitting it in his schedule. Now, the time is finally right. Earlier this month, the Queens native launched a Kickstarter campaign for his newest endeavor Did You Hear The One About, which would serve as Hip Hop’s first novel and album combination. With the encouragement of producer Temper3000, Serch is simultaneously crafting them both. Here’s the twist — each song coincides with a chapter in the novel. Serch decided to go the Kickstarter route to bypass the pressure that often comes with finding a publisher. “I don’t want to get an advance and I don’t want to shop a book,” he says. “I don’t wanna do that because then the onus [duty] is on the book publisher and the onus is on me and then it just becomes a political nightmare and I don’t want the politics of it. Considering the project’s title, Serch knows people will be expecting to hear some untold stories. “There’s stories that many people have heard,” he says. “The M.C. Hammer story and the Bushwick Bill story are a couple of more well-known stories but they’ve never really been in novel, chapter detail. Usually they are soundbites because when you are telling those type of stories — even when it’s a podcast — it’s limited to the amount of time you have on the radio. So, I’ve kind of turned it into a soundbite type story but there’s a lot more depth to those stories. There’s a lot of things that I haven’t discussed in-depth, which is Jam Master Jay and how important he was in my career in getting started, my relationship in the early ’80s with Hip Hop … just a whole bunch of things that I’ve never discussed. Serch has received plenty of support from his peers — from Questlove and Chris Rock to Public Enemy’s Chuck D and De La Soul. “The response has been great,” he says. “Chuck posted something on Twitter. Chris Rock posted something on his social media. Vinnie Paz and De La Soul have posted on something. Method Man has posted something. In addition to an audio book and album, there will be other iterations of Did You Hear The One About. “There’ll be a Kindle version of it eventually,” he explains. “People that purchase that level will get the Kindle book immediately. Based on the people that invest, there will be hardcover signed versions of hardcover books that we’re gonna be making in paperback all the way up to a deluxe box set which includes the hardcover, the paperback, the CD, the cassette, the vinyl, all of that stuff. There is a first for everything, right? I mean I am a fan of it. More people need to chill out and just read. Get their minds working and focusing on other things outside themselves. Indeed. Nothing wrong with bringing back some reading. I remember growing up I liked reading magazines and books, a lot of people actually laughed at me for it. I think it is different when you are growing up though. Maybe I am going to come off a bit "bad" for saying this but do people really care about hip hop books? I mean other than people who are in the industry themselves. It isn't something I would care to read myself. Older fans will appreciate it, maybe not the younger crowds. I think it is a trend that may catch on someday, at least for the dudes who been in hip hop for a long time.